As Washington stews in its typically extreme August heat and humidity, the month has proven to be a very active one at DTM with some good, and some not so good, news to report. The Smithsonian's Science Education Academy for Teachers visited the Broad Branch Road Campus on August 2, 2018. Photo: Roberto Molar Candanosa, DTM. The month started with our annual participation in the Smithsonian's Science Education Academy for Teachers. This year, we hosted 26 K-12 teachers for an afternoon of hands-on training in the art of geochronology. Our approach to this experience is to provide the teachers not only with a broad introduction to the understanding of geologic time, but also to allow them to perform hands-on experiments using the advanced analytical facilities at DTM. The goal is to convey more than facts and instead look at the whole approach of framing the question to be asked and how to go about answering it. One of the more attractive features of science is that it is not just a collection of numbers and observations, but at its most fundamental, a pursuit of answers to important problems. Teaching science, particularly at the K-12 level, often is dominated by memorizing facts, but the ability to investigate at always improving levels the mysteries of the natural world is arguably the most engaging part of science. Judging from the positive reviews we received from the participants, we apparently were successful in giving them the opportunity to experience the excitement of discovery through their own efforts. Stars flying together like a flock of birds. Visualization rendered by Dan Tell from the California Academy of Sciences using SCISS Uniview software and directed/written by Jackie Faherty from the American Museum of Natural History. A good example of the process of scientific investigation is the new paper by former DTM Sagan Fellow Jonathan Gagné and former DTM Hubble Fellow Jacqueline Faherty, who found within the data recently released by the European Space Agency's Gaia mission hundreds of small stars that appear to be traveling together in small groups. Their results highlight the fact that star formation is not random in space and time in the galaxy, but is instead clumped into regions of unusual mass concentrations that serve as fertile grounds for the birth of new stars over relatively short time periods. A rich abundance of exoplanetary systems could be revealed with future stellar cluster observations such as those to be done with NASA's Transiting Exoplanet Survey Satellite (TESS), built by the aerospace manufacturer Orbital ATK that was headed until recently by Carnegie Trustee David Thompson. Similar observations will also be possible with the Giant Magellan Telescope, whose foundations began to be dug this month on a mountain top in Las Campanas, Chile. Understanding how the characteristics of these planetary systems vary with the age of their host star will allow glimpses into planet formation and evolution over the wide range of ages of the stellar clusters discovered by Gagné and Faherty. 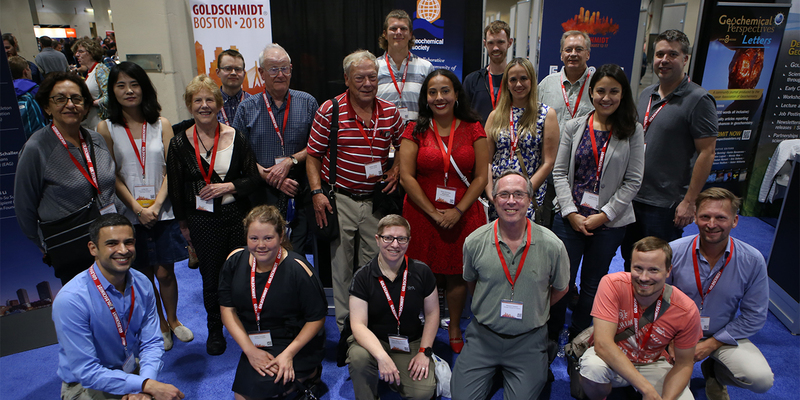 The Goldschmidt Conference, this year held in Boston, is the annual international celebration of discoveries on a wide range of geochemical and cosmochemical subjects. DTM traditionally plays a major role in this conference, and this year was no different. Current and past DTM colleagues assembled in Boston along with the international geochemical community to present their work covering subjects as diverse as the formation of diamonds in Earth's deep interior; the history of early crust formation on Earth and its consequences for the long-term chemical evolution of the planet; the mechanism of Moon formation; and even the time it takes for solid mineral grains to condense from exploding stars. The meeting is organized in even years by the Geochemical Society, housed at DTM and expertly run by our own Kevin Johnson and Asaf Gelber. Burke adjusting recording instruments at a Carnegie radio receiver truck. Photo: DTM Archives, via the Baltimore Sun. 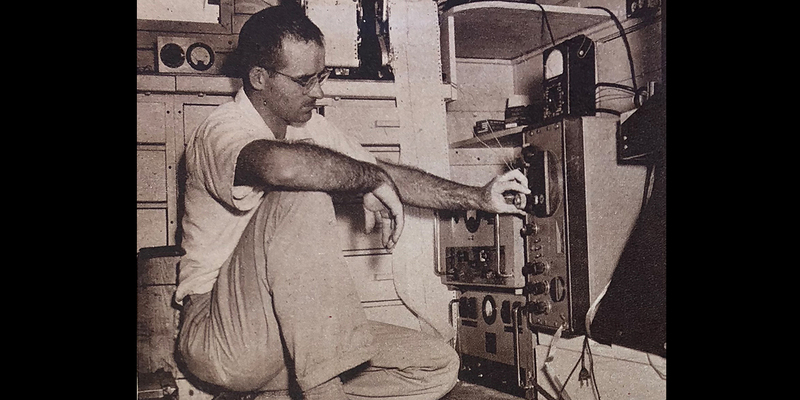 August saw the passing of Dr. Bernard Burke, a DTM staff scientist from 1953 to 1965 who played a major role in the discovery of radio emissions from Jupiter. Most such discoveries in our field are recorded in textbooks (and Wikipedia), but this one is marked with a roadside sign erected by the Maryland State Highway Administration at the Derwood Maryland site of DTM's radio telescope that was used by Burke and colleague Kenneth Franklin to discover the signal from Jupiter. Dr. Burke moved to MIT in 1965, where his major contributions to our understanding of the universe continued, but he maintained a connection with DTM throughout his career, serving on the department visiting committee in 1994 and as the Department's first Merle A. Tuve Senior Fellow in 1997. His contributions to our understanding of the universe were vast. We are proud to have been associated with him and to have had the pleasant opportunity to share with him his many contributions to the field of radio astronomy.